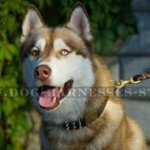 What Is the Best Type of Dog Muzzle? Owing to great design this wire muzzle provides your dog with the best ventilation available among dog muzzles. 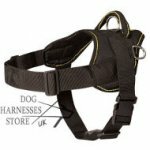 This walking dog muzzle is sure comfortable for your dog and is also very practical for use in training, traveling, patrolling, guarding and visiting the vet. Saying without overstatement, this new muzzle is the best WIRE MUZZLE on the world market. 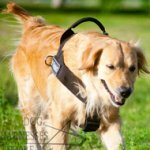 This wire dog muzzle UK of revolution design allows your dog longer time to walk, bark, pant, drink water and feel so free like there is no any muzzle. 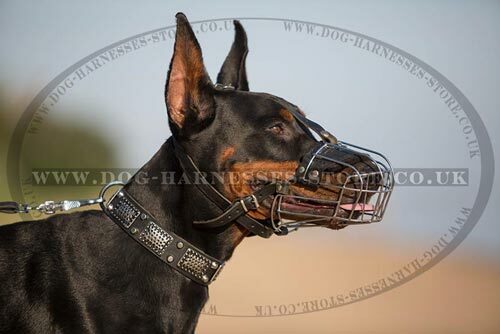 This walking basket dog muzzle is also used by professional trainers and dog handlers. This wire muzzle for dogs is completely non-toxic and safe. 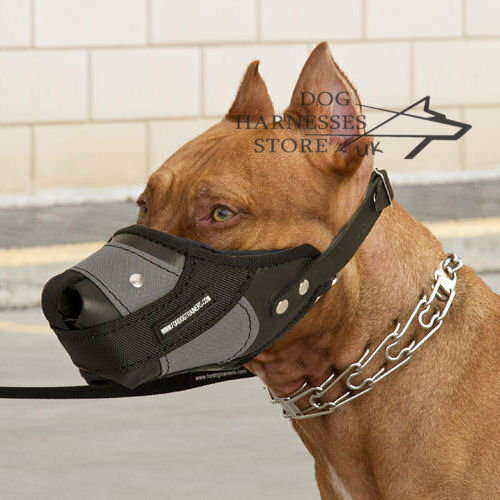 The model of the walking muzzle is padded on nose area with soft felt for maximum dog's comfort and in order to prevent irritations and (or) rubbing. Cage muzzle is well-fitting and comfortable, made on the basis of especially strong metallic construction in order to maintain the shape and to assure long life for the muzzle. Among the strength are: bite-, chewing-, picking up undesirable objects inhibition, allows your dog to pant and to drink. It is extremely hard for the dog in dislodging with its paws. One never advises to leave your dog unattended while muzzled. 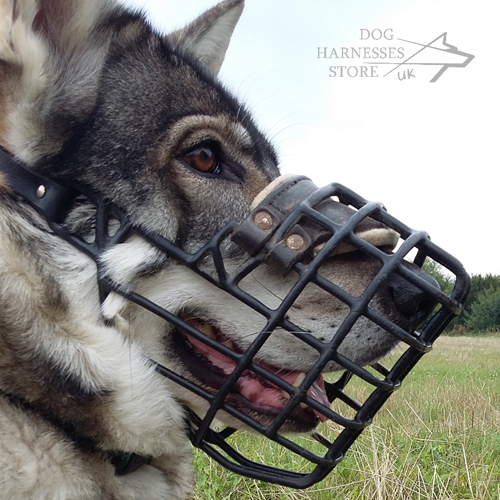 This wire basket dog muzzle can be put on while the dog is walking, playing or running. It socializes your dog to communicate with another dog. It socializes your dog for kids' or humans' community in general. It simplifies taking your dog to vet visit. It assists in going with your dog by public transportation. 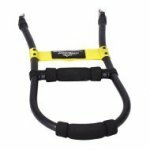 It works great for hard-to-handle dogs during visits to the groomers or veterinarian. 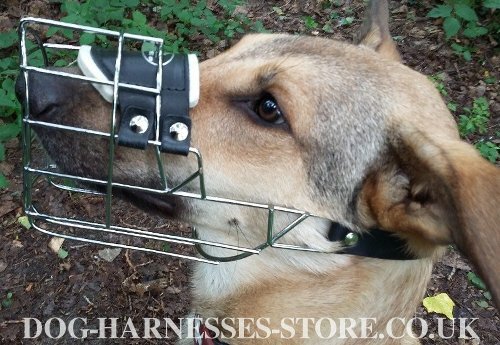 This wire basket cage muzzle is highly recommended by veterinarians, dog trainers. 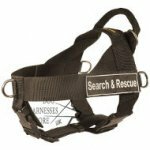 This wire basket dog muzzle will discourage dogs from biting, chewing and eating unwanted objects such as rocks and sticks. This wire basket dog muzzle will allow the dog to breath freely, to pant and to drink water. Soft padding on the upper nose area. Upper nose part of full grain leather for padding attachment. Strong and durable metal cage part with resistance to rust. Leather neck strap, that is adjusted. 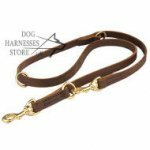 You may experience the situations in your dog's life, when you should use a dog wire muzzle. 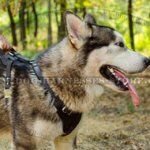 To learn your canine how to like a dog muzzle is something every dog owner should do, not necessarily just for aggression aspects, but also for many other cases, where this wire muzzle will become the most suitable variant for your fine dog. 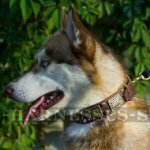 When you can't find a special breed among the list of the presented or maybe you have a mix breed, feel free to come into contact with us, this wire muzzle may be made in accordance with your own wishes, dog's measurements, thus we can select a certain well-fitted muzzle for your dear pet. 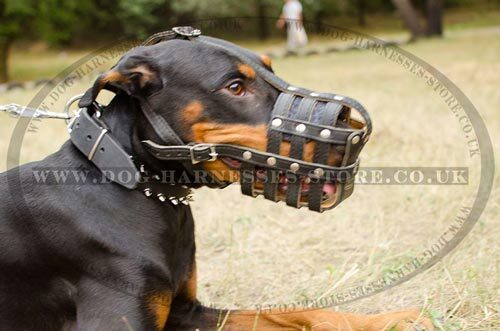 Muzzles are used to reduce the risk a dog poses to people and other animals by restricting the dog's ability to bite. They are commonly used by veterinarians and animal care staff concerned with handling or treating frightened, injured or distressed dogs, as well as anyone managing - or introducing - dogs that may be aggressive to people or other animals. Below are some tips to help guide you as you select a muzzle and present it to your pet. How you introduce a muzzle to your dog can have a significant impact on how quickly he is able to accept wearing it calmly. 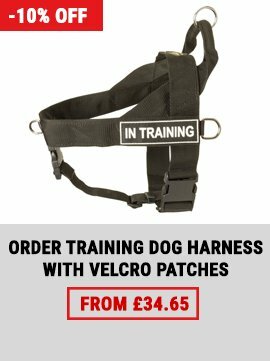 If your dog is already struggling with wearing a muzzle try incorporating some of the training pointers to help him learn to adjust. 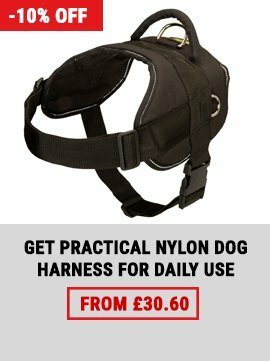 What type of muzzle should I buy for my dog? 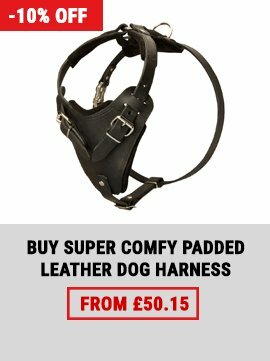 It is important to purchase a muzzle that allows normal breathing, panting and drinking. 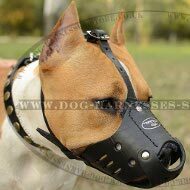 A dog muzzle is a device which is designed to prevent a dog from opening its mouth. 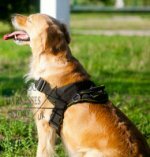 Dog muzzles are used in training, to retrain aggressive dogs, and to prevent barking. When used properly, a dog muzzle is a very useful tool which can be used to teach your dog more socially acceptable behavior. 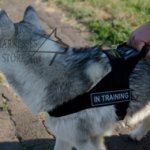 Many dog supply stores sell dog muzzles along with other tools for training, and a veterinarian or dog trainer can teach you how to use a dog muzzle responsibly. 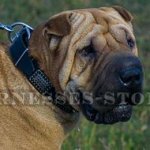 There are a number of different styles of dog muzzle, ranging from simple nylon straps which slip around a dog's nose to basket muzzles, which are made from wire or leather. Many muzzles are padded for the comfort of the dog and some are designed to allow a dog to eat or drink while wearing the muzzle. In all cases, the design of a muzzle should not restrict a dog's ability to breathe freely. 1. 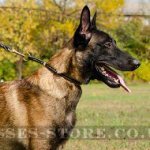 Hi, I ordered wire muzzles for my two German Shepherds. LOVE IT LOVE IT. The best I have seen. Well made. My dogs adapted to it very quick. I wish I can send you a photo I am very happy and just want to tell it's a great quality product. 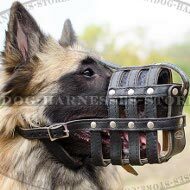 I recommend this muzzle to everyone. 2. Yes, most indeed your dog muzzle UK definitely well worth the purchase price (and then some) for its sheer magnificence in quality of craftsmanship, comfort for my dog, and overall aesthetics as well. I am even more impressed at how reasonable you make the pricing for such a well designed, and put together product, even considering the choice of quality materials involved in manufacturing the item. I will recommend to my students and peers in the dog training circle in which I am in your website, and product(s). This article written on 12/12/2012 about wire dog muzzle UK, the author of which is Helen Seel, got 9.5 from 10 points of rating for ease and completeness of given information. 16270 persons took part in the poll. 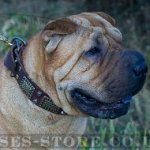 See collection the best dog muzzles in our online store! Learn also everything about dog muzzles.